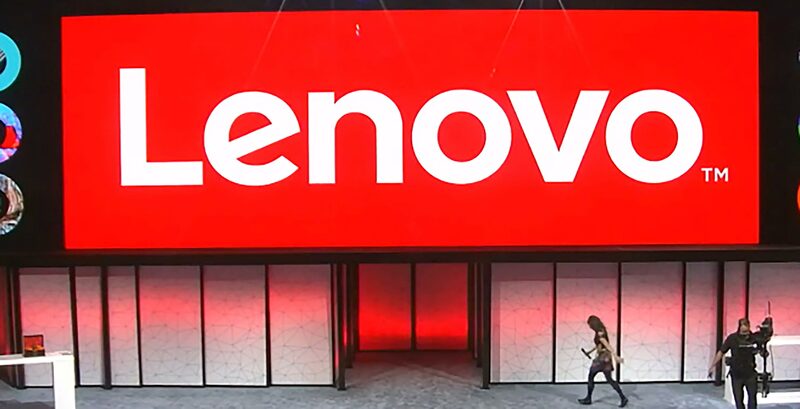 According to recent FCC documents and some digging in the Google Play Developer Console’s Device Catalogue, Lenovo has a new budget phablet on the way. 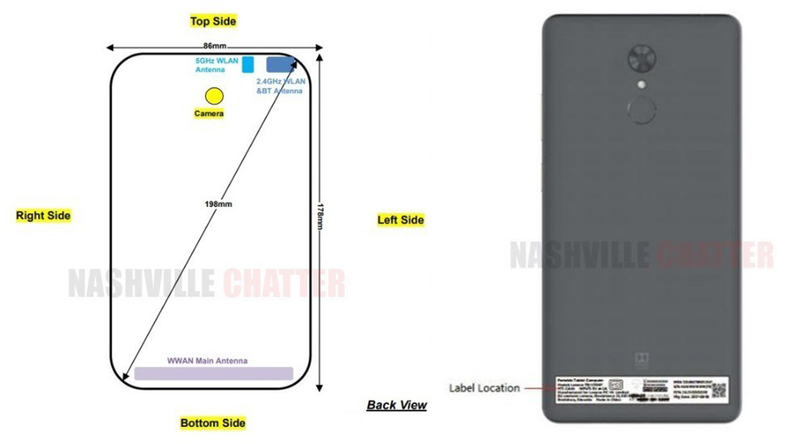 After Nashville Chatter uncovered the device’s FCC documents, XDA Developers was able to find the device in the Device Catalogue, revealing more information about it. First of all, the FCC revealed two versions of the device bearing the model numbers PB-6505M and PB-6505MC. Further, the FCC documents list the device as 178mm tall, 86mm wide and with a diagonal length of 198mm, or 7.79-inches. The FCC documents also included a picture of the back of the device along with an illustration featuring the measurements and location of Wi-Fi antennas. In other words, the phablet is quite large. For reference, Samsung’s Galaxy Note 9 measures in at 161.9mm tall, 76.4mm across and 162.56mm, or 6.4-inches, on the diagonal. Additionally, the FCC documents note the device sports a 5,180mAh battery and will launch with Android Pie. XDA was able to search the PB-6505M model number in the Play Developer Console Device Catalogue to find out more details. According to XDA, the 6505M will have 3GB of RAM, an 18:9 display and a 1080 x 2160 pixel resolution. Further, the phablet will have a “phone form factor,” according to the Device Catalogue. The Device Catalogue details which processors the device will have: a mid-range Qualcomm Snapdragon 450. 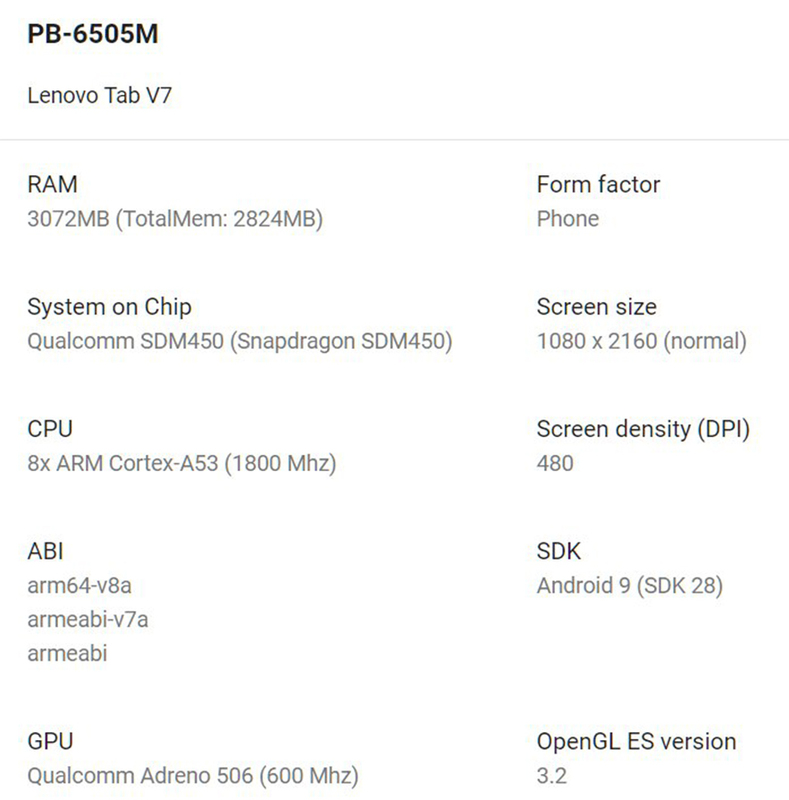 While it isn’t clear what Lenovo will call the device officially, the Device Catalogue labels it as the Lenovo Tab V7. Ultimately, it looks like we could soon have a Lenovo tablet reminiscent of the Nexus 7. There’s no indication of a launch window as of yet, but if it’s circulating in the FCC, it may launch soon.